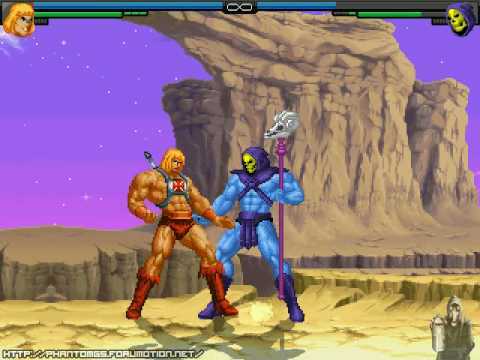 DESCRIPTION - He-Man is the main character from the Masters of the Universe cartoon series. This He-Man by Kain The Supreme is a 4-button with two modes: using his sword and without it. To change modes, you must press A+X. Each mode has different specials moves.